Come in and visit one of our schools, or call. One of our teachers will be able to advise you on the best course. Our private & semi-private lessons are popular with mature to senior adults as these classes are scheduled at your convenience. You are never too old to start learning and you will never be too young either! With 20 years of teaching experience, between the 2 founding owners of G&S, in many different types of international and public elementary schools, they knew if they were to open a school they could use their wealth of knowledge to teach children in a new and exciting way and to train new teachers to think likewise. 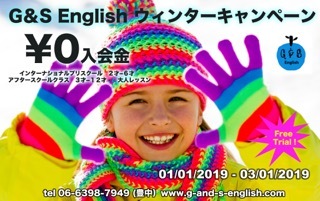 At G&S, learning English is only part of the package. Here we try to teach skills for life. Making friends, respecting each other and your teachers. Speaking your mind, and giving your opinion. Expressing your ideas and engaging in pursuits (using English) beyond the boundaries of the classroom.